When I am tempted to nip into a supermarket because supplies and time are tight there are two choices. 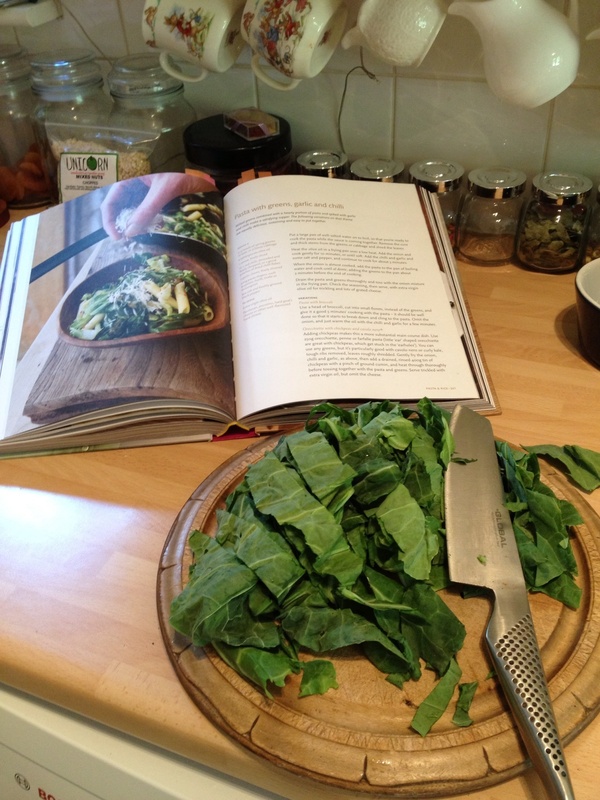 I can give in and go shopping or turn to the River Cottage Veg Everyday book. I got this book for Christmas 2011 and was so impressed with the simplicity of the recipes, and like Nigel Slater’s books the similarity of their store cupboards to mine, that I worked my way through it in 2012. Yesterday, when in that position I took a look in the fridge, decided a couple of heads of greens needed using and flicked through the Veg Everday index. This is a simple, tasty and very economical supper. 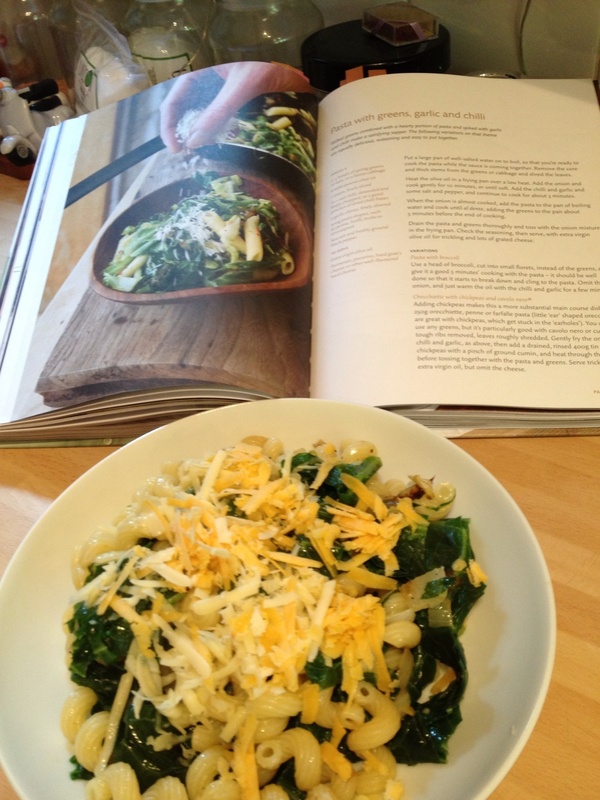 My only query with this recipe is the quantity of pasta – it is meant for four but the way I measure – one bowl of dry weight = enough for two bowls of cooked pasta would mean 100g per person served as a little more for the chaps than the ladies so I’ve increased that a little. 1. Put a large pan of well salted water on to boil. 2. Remove the core and thick stems from the greens and shred the leaves. 3. Heat the oil in a frying pan over a low heat. 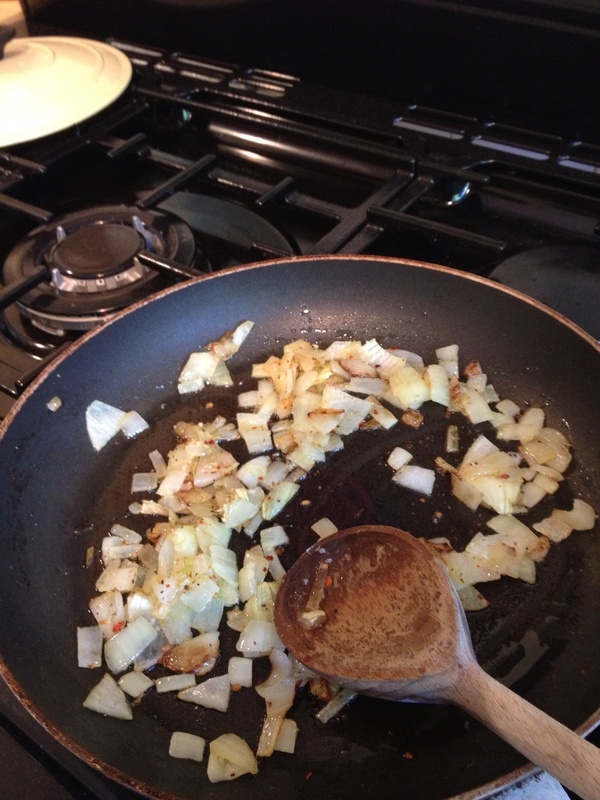 Add the onion and cook gently for 10 minutes, or until soft. Add the chilli and garlic and some salt and pepper and continue to cook gently. 4. Add the pasta to the boiling water adding the greens to the pan 3-4 minutes before the end of cooking. 5. 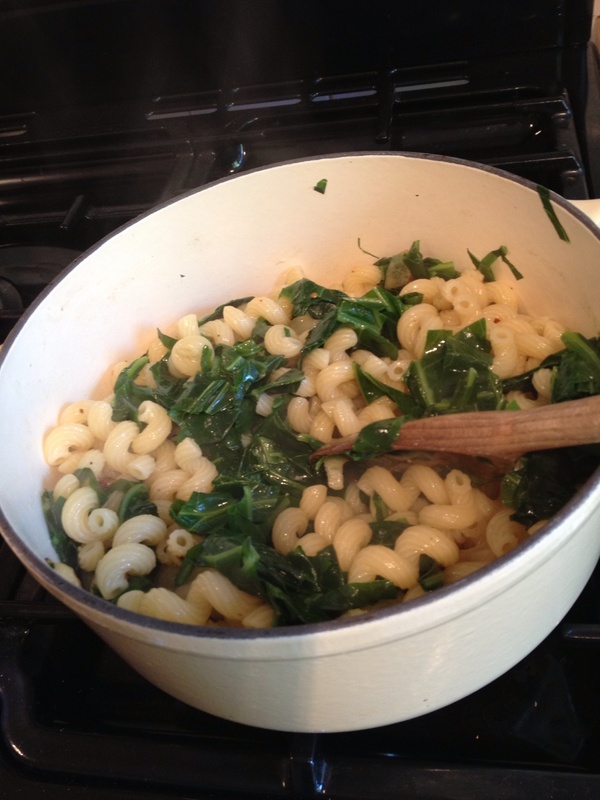 Drain the pasta and greens thoroughly and stir in the onion mixture. 6. Check the seasoning, then serve, with extra virgin olive oil for trickling and lots of grated cheese. Sounds like I should get River Cottage veg everyday book! Apart from my bread books it’s certainly a favourite!